Young Minded is the debut of Oakland’s Same Girls. Opening with a memorable one-two punch, “Inner Space” channels the jangle Of early ‘80’s indie, while “Sailing,” with its hypnotic bass work, was our first taste, reminiscent of the much missed Leeds band Spectrals. The September release also features the single “Domino,” and “Hello” showcases their harder side, while remaining catchy as hell. We’ve sung the praises of Different Fur Studios over the years and it was easy to get behind their newest project: Text Me Records. 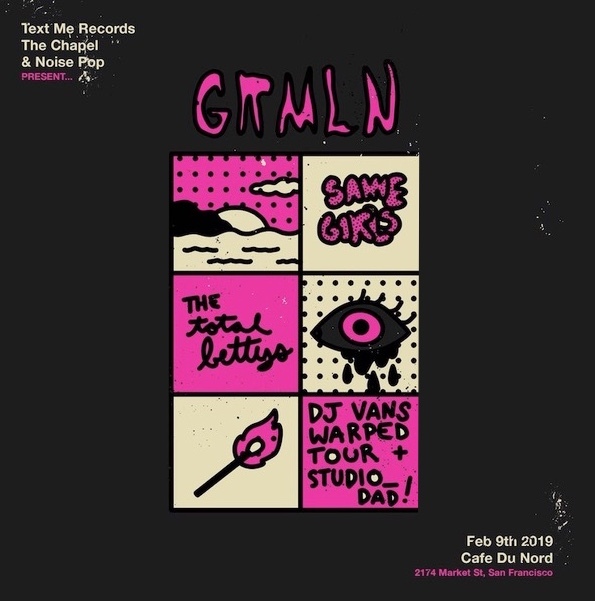 Your chance to catch Same Girls is coming up February 9th at Cafe Du Nord in San Francisco, as part of a stacked showcase presented by Text Me Records, The Chapel, and Noise Pop, featuring GRMLN, Same Girls, and Total Bettys.